The dialogs are recorded at two speeds (slow and normal) and use modern French glided pronunciation: this will help you understand the French natives and boost your confidence in conversation. Very useful tips. We visited Paris and experienced the tiny elevator!!! It is very nice, extremely helpful and I am sure that the week in France in July would be real fun and most enjoyable along with improving my French. I studied French in school, many years ago. I never mastered the language, but given that I visit France two or three times a year, I have always kept up an interest in the language. Over the years, I have bought many different courses, many of which have been helpful. I happened on the “Frenchtoday” website sometime ago and bought a number of their products. I find them extremely good, and their content is excellent. This, combined with the weekly email from Camille has given me the impetus to continue trying to improve my knowledge of the beautiful French Language. I really like the option of slowing down the dialogue to allow for better comprehension. Very useful lessons from the most common daily life situations, spoken at different speed and supported by a pdf document with translation and additional, useful, information. Strongly recommended to those who want to learn the most used dialogues in French. For me, I would prefer the whole audio to be in French. This is for me. I understand that many others would like the English explanation. I am far along enough in understanding spoken French that I learn more when I hear only French. So I get impatient spending the time to listen to the many explanations in English. Even so, my spoken French needs a lot of work, so the dialogues are very good for me. Highly recommended. I have purchased a number of Camille’s audios and I have really enjoyed them all. After relearning Italian, my next goal was to learn enough French to feel comfortable with at least the basics when in France. I find it really helpful to use my commute to work as a time to listen to the language I am learning and Camille’s audios are perfect, exactly what I was looking for. I really enjoy listening to Camille, so much nicer than the many tedious language audios available, and I really appreciate that Camille uses contemporary French, rather than text book, so much better to be exposed to what we will actually hear when in France. Thank you Camille, listen to your audios has really improved my comprehension, vocabulary and confidence to speak French. Le livre est très claire, et je peux presque comprendre a la vitesse normale, mais pas tout les mots, maintenant. Je suis tres heureux de pouvoir utiliser cet outil, maintenant, et j’espère voyager en france un jour dans le futur. About.French.com and now am a regular reader of her posts there and on French Today. I feel like I have my very own REAL french friend! Thank you for all the ways you are helping me fulfill my life long dream of becoming fluent in French. I’m enjoying Essential French Dialogs greatly. I’ve completed eight of the 11. The pace and level are just right for me and I can check that I’m making progress. I listen at normal speed, to test how much I can understand, then work through the text with the audio at slow speed. The information and tips are very valuable. I have several of the French Today products and they are consistently high quality, friendly and stimulating. Essential French Dialogs has been an excellent review for me. I especially appreciated the slow versions of the spoken French when I first started. Well done! I am heading to France shortly, and I’ve found the Essential French Dialogues very useful for vocabulary, dialogue simulation, and Camille’s terrific tips and warnings. I’m a bit nervous about facing native French speakers in their own country, but these lessons give me confidence that I am prepared to face ordinary daily interactions. The five-star rating is well-deserved. Camille has set forth an excellent product, recorded in two speeds, that will help the beginner know what to say and how to say it properly. It will help the advanced beginner understand what is being said back to them, avoiding confusion and embarrassment It will also demystify a lot of the small rules of French interaction that cause tourists to stand out as tourists. Very useful and accessible. 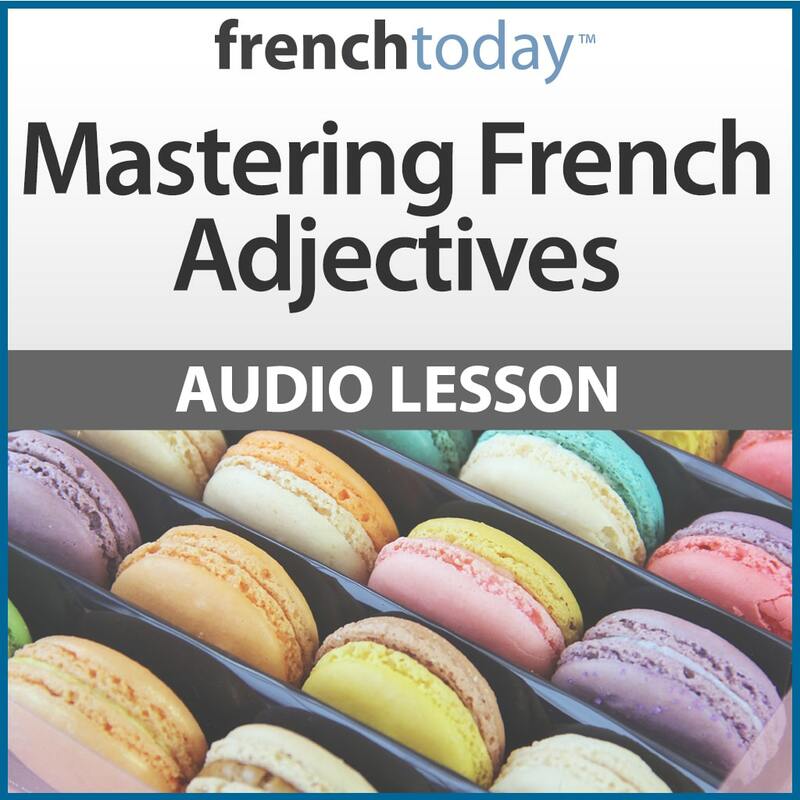 As one who is heading to France soon, I find the tips and vocabulary particularly useful to help me prepare to ‘immerse’. I have purchased several of the French Today programs and am very happy with all of them. Having studied textbook French for several years, I’m particularly pleased that French Today focuses on everyday colloquial French, which really makes sense and complements the classroom French. Thanks so much for providing such useful and enjoyable French language materials. Very very helpful! I really love the product. 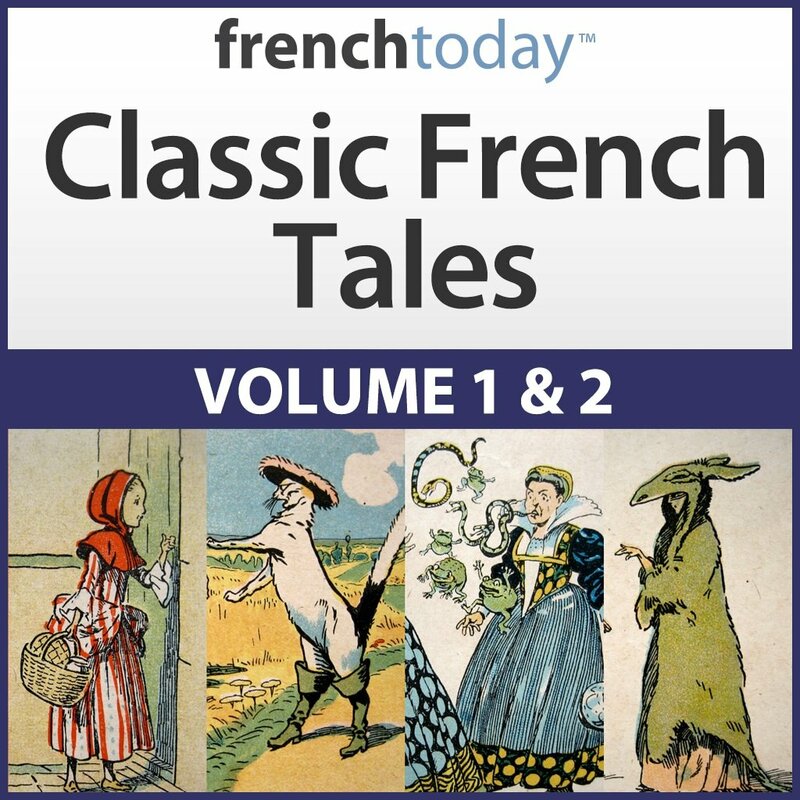 I LOVE the French Today audio lessons, audio novels, workbooks, verb drills, poetry and classic tales. I was the lucky winner of a French Today contest and have delighted in each of the audio lessons I received. 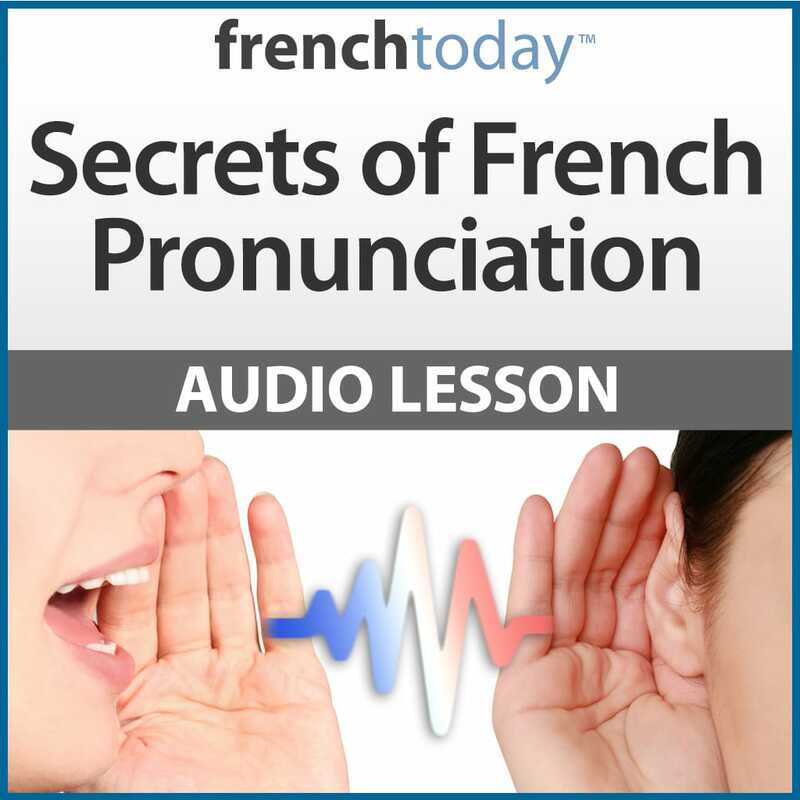 Not only is it easy to listen to Camille’s voice, but she also has a very approachable method of instructing the listener on the way French people use their language. She clearly differentiates between textbook French and the way French people actually speak. I began my interest in French in high school and continued through college and graduate school. Additionally, I had a job that required travel to Paris on a regular basis. So, I am not new to the study of French. However, I have never had access to such clear and comprehensive explanations of French. These audio lessons and the supporting transcripts and workbooks are the best instructional material I have ever heard or seen. I learn something new each time I listen to Camille. Thank you, Camille and Olivier for producing these products and for sharing them with me! These lessons are very helpful. The emphasis on street french is so important. I recently purchased Essentail French Dialogs. I find the different-speed recordings especially useful. I’ve been a student of Camille’s for several years and I have nothingbut good to say of her teaching methods. Jim Collins, Topsfield Mass. Your great lessons not only have helped me improve my French, but they also are the fastest way to learn new French phrases of everyday language. Thanks to Camille´s pronunciation I can learn this genuine spoken language easily and what is more, I know all of these phrases are useful not only in the classroom. You deserve 5 stars. I have enjoyed to Essential French dialogs. I find that your way teaching is very useful since a want to learn to speak and write. 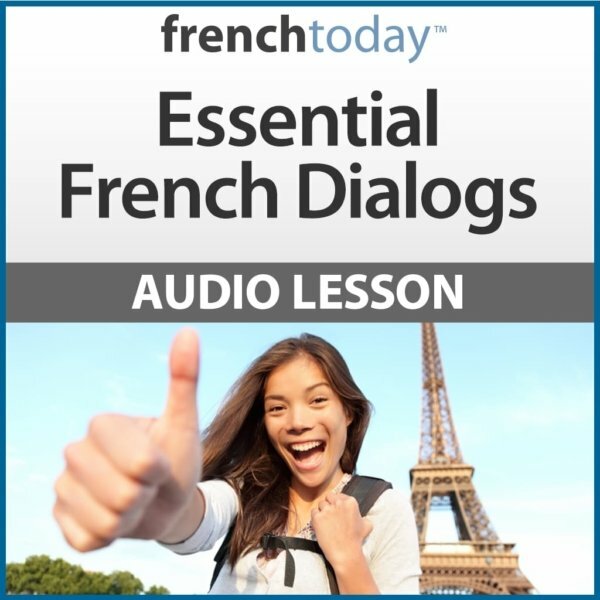 As someone who’s been learning French for 3 months, I’m finding “Essential French Dialogues” very useful. My main learning objective is to speak and understand spoken French. Being able to listen to spoken French in a context I’m likely to use it is very helpful indeed. Camille’s spoken French is very clear and understandable and the guidance given on how to best use the product is indispensable. In my opinion “EFD” is a first rate product. 5 Stars! A great way to practice those interactions that you really want to be able to get right – being confident in making simple bookings/enquiries/arrangements is such an uplift! The two-speed approach also helps to make sure you’ve got it syllable perfect. Allez les étudiants! A truly remarkable collection of dialog occurrences, tips, and advice on navigating everyday situations, avoiding cultural errors, and even side-stepping scams. Despite several previous visits to France, I discovered many tidbits that will be highly useful on my next sojourn. This is an excellent way to learn the real French you would use everyday. The two-speed approach is very helpful to really concentrate on getting the basics right; so you don’t give away the fact that you are still learning when you try this out in the market/shops etc.!! I’d just like to give a quick review of your new product – Essential French Dialogs… The travel tips are essential and gives a great insight into the cultural differences that a traveller needs to be aware of to enjoy the trip while respecting the French culture. The dialogs are fantastic for giving an idea of how to respond in common situations, and I loved having the recordings in two different speeds, which makes this product suited to learners of any level. The recordings are in excellent quality so Camille’s voice is clear and very easy to understand. Another great ‘French Today’ product, thank you!